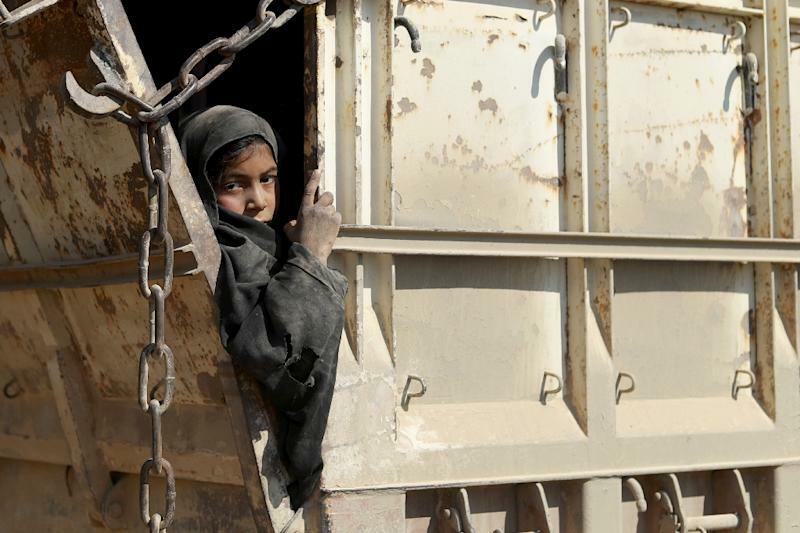 Near Baghouz (Syria) (AFP) - Hundreds of people including women and children were trucked out of the Islamic State group's last Syria redoubt Wednesday, bringing US-backed forces closer to retaking the last sliver of the "caliphate". The Syrian Democratic Forces (SDF) said however it was just a first wave of evacuations, and that a large number of civilians and IS fighters still remained inside. The implosion of the jihadists' proto-state, which once spanned swathes of Syria and neighbouring Iraq, has left Western nations grappling with how to handle citizens who left to join IS. AFP correspondents saw at least 17 trucks carrying men, women and children out of the last patch of IS territory in the eastern Syrian village of Baghouz. Women wearing face veils, several children -- including young veiled girls -- and men were seen inside the vehicles. Their exact number and nationalities were not immediately clear, but an SDF spokesman said they included jihadists. Outside the pocket near the Iraqi border, SDF fighters watched as double-trailer trucks made their way across the arid plain dotted with grass and yellow flowers. SDF spokesman Adnan Afrin said most of the hundreds who exited were civilians, but also included IS fighters. "Civilians and fighters from many nationalities have surrendered," he said, without naming specific countries. He added that "there was a group of IS fighters hidden among the civilians... but as far as we know, our colleagues have arrested them." Fellow spokesman Mustefa Bali earlier said it was just a first wave of evacuations. "After many days of trying, we were able to evacuate the first batch today," he told AFP. Backed by US-led coalition air strikes, the SDF have trapped IS fighters in less than half a square kilometre (a fifth of a square mile) of Baghouz. The SDF have slowed their advance in recent days to protect civilians ahead of a final push to defeat the jihadists. 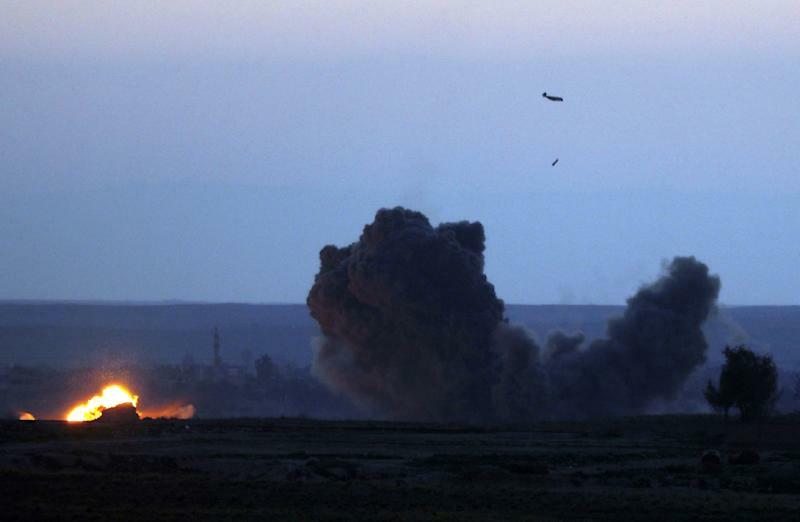 "There are still large groups of civilians inside, as well as IS fighters," Adnan said. Thousands of people -- mostly women and children related to IS members -- have streamed out of Baghouz in the past weeks, but the flow had largely stopped in recent days. The Syrian Observatory for Human Rights, a Britain-based war monitor, said a deal appeared to have been reached with the jihadists. "There have been negotiations for the surrender of the last IS fighters," Observatory chief Rami Abdel Rahman said. "There are reports of a deal, but we don't know the details yet." The United Nations on Tuesday said around 200 families, including many women and children, were "reportedly trapped" in the last IS holdout. 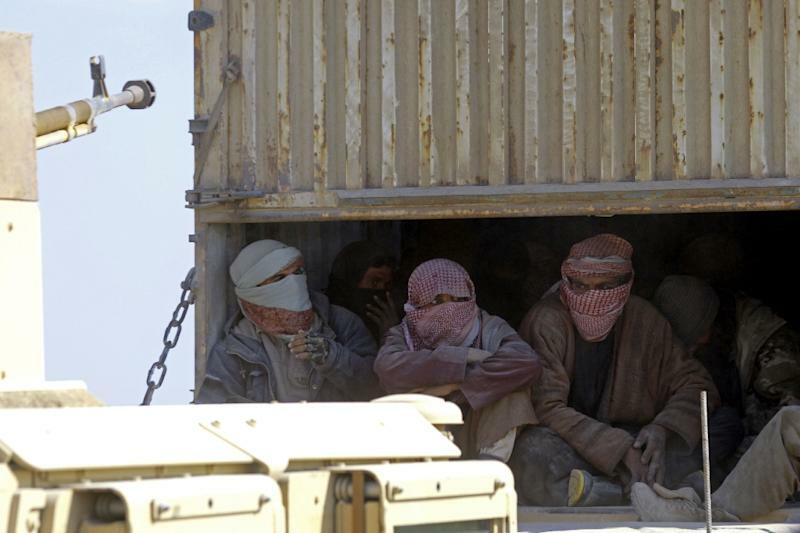 Hundreds of alleged jihadists, including foreigners, have been detained after fleeing the pocket in recent weeks. At its height, the IS "caliphate" spanned an area the size of the United Kingdom, with the jihadists imposing their brutal rule on millions. After years of battling IS, the SDF holds hundreds of foreigners suspected of being IS fighters, as well as related women and children. Syria's Kurds have long urged their home countries to take them back, but many European nations have been reluctant. US President Donald Trump on Saturday urged European powers to take back hundreds of their citizens who fought for IS in Syria. Britain, however, has rebuffed Trump's appeal and is expected to revoke the citizenship of a teenager who fled London to join the jihadists when she was just 15, a lawyer for her family said Tuesday. Shamima Begum, 19, is being held in a refugee camp in northeast Syria, and at the weekend gave birth to her third child. On Wednesday, she said she was shocked by the decision and considering applying to settle in the Netherlands, the homeland of her husband. But at odds with its demands of other countries, the US said Wednesday it would refuse entry to a US-born Islamic State propagandist who wants to return from Syria. "Ms. Hoda Muthana is not a US citizen and will not be admitted into the United States," Secretary of State Mike Pompeo said. Hoda Muthana, a 24-year-old from Alabama, in late 2014 posted a picture of four women appearing to torch their passports, including an American one. Pompeo said she "does not have any legal basis, no valid US passport, no right to a passport, nor any visa to travel to the United States". But Muthana told The Guardian she had been brainwashed online and "deeply regrets" joining the movement. Beyond Baghouz, IS retains a presence in the Badia desert and has claimed deadly attacks in SDF-held areas. Syria's war has killed more than 360,000 people and displaced millions since it started in 2011 with the repression of anti-government protests.